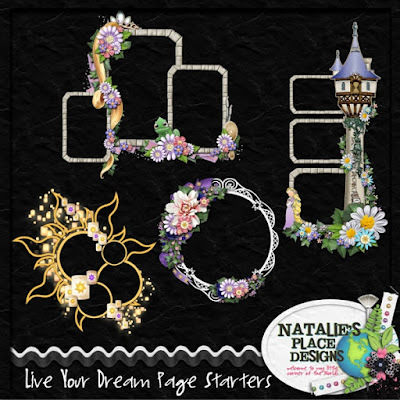 Natalie's Place Designs new kit is inspired by a special princess's best day ever. 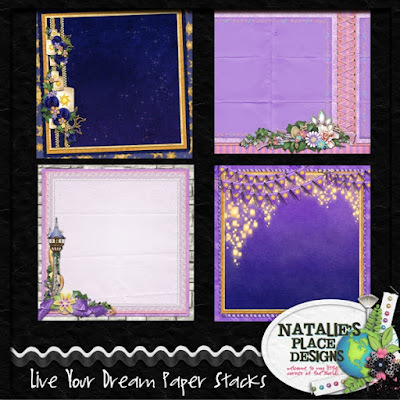 This bundle contains the scrapbook kit, word art, word art 2, page starters, paper stacks and borders that coordinate with the Live Your Dream Collection. 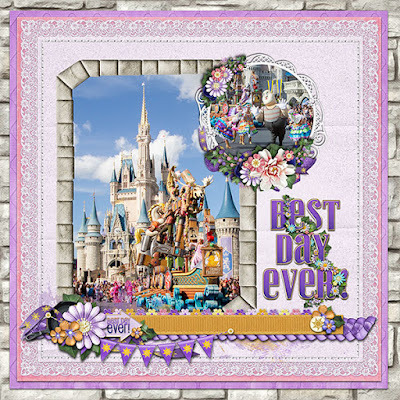 Here's what I made with the bundle. The Festival of Fantasy was an awesome parade. Got to see all the characters. 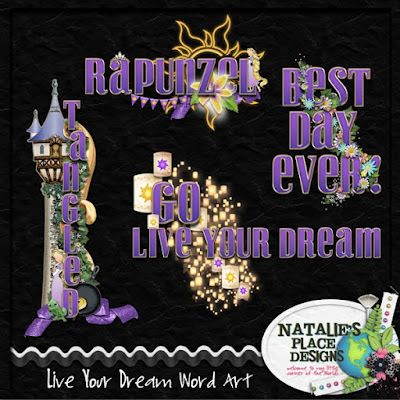 The float from Tangled was especially fun with Flynn, Maximus the horse and others swinging back and forth on hammers and axes, and of course, Rapunzel with her frying pan. I made a freebie for you. Click on the image for a direct download. 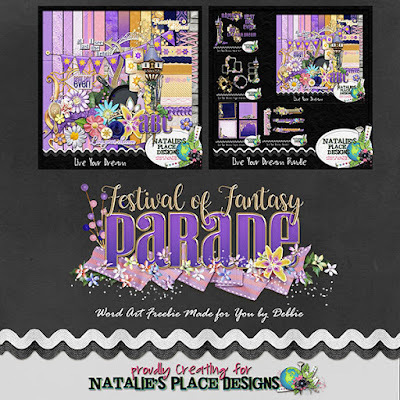 Be sure to stop by Natalie's Blog, Cynthia's and Lisa's for more inspiration and freebies.